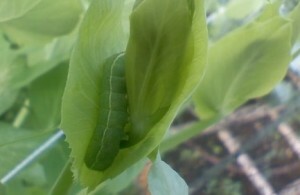 Another picture of whatever is living in my pepper plants. 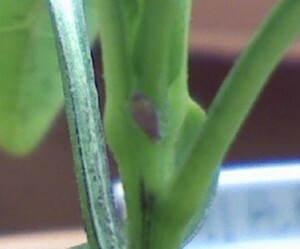 I also noticed two extremely small, extremely fast little white bugs running around the soil in two of the containers. Thinking these might be the adolescent version of this? I’m really looking for sunny, more moderate weather so I can get these back outside, and to help out the other struggling warm weather plants that are already in the ground. Both look very similar, no idea what they are. 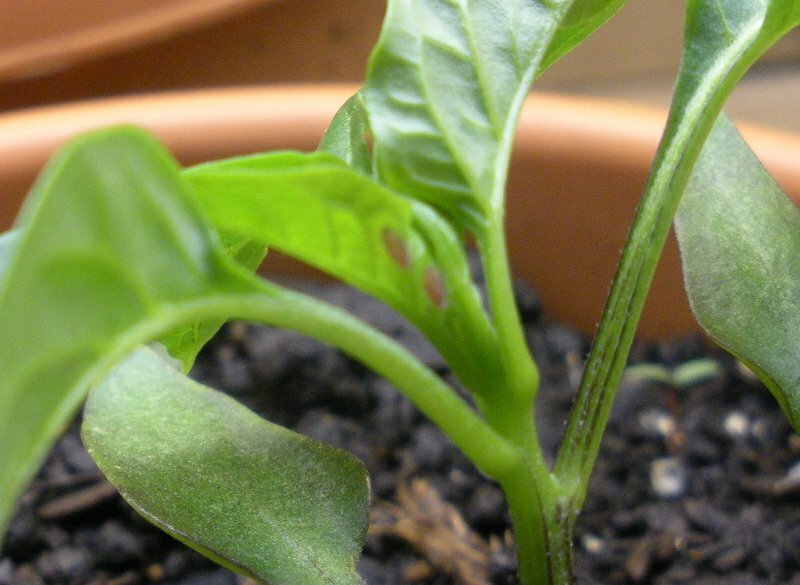 The first of two bugs found on sweet pepper plants. These two are lighter and reddish-brown. A few days ago, I noticed a few small holes in the broccoli plants. The next day, I noticed some in the radishes and thought, “hmm, I wonder if they are related.” Now, a few in the spinach. I haven’t seen any bugs, but I haven’t had time to investigate either. It appears to be the workings of a flea beetle judging from pictures I found on the web. I plan on doing a thorough investigation this weekend if the weather allows. I’ll post pictures of the damage, and the offenders if found.